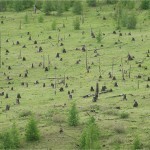 Over-exploitation for wood and fuel, land conversion to agriculture, forest fire, expansion of desert areas, drought and illegal logging, in the past, were among the factors that have caused major degradation of Asia’s forests. More recently, as awareness of the problems and excesses grew, efforts at rehabilitation began to emerge. Some of the rehabilitation successes started with government programs then spread to industry, non-government organizations and local communities. The growing economies in Asia, home of 14% of the world’s forests and more than 60% of its population, create many challenges and opportunities – economically, environmentally and socially – for the forests, which play important roles in these countries. 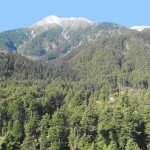 Forest scientists from various regions in Asia, who have responded to this challenge through an initiative called Keep Asia Green, will be among those discussing at the 2010 IUFRO World Congress in Seoul the history, current status, success and failures of forest rehabilitation efforts in their countries. “The Seoul discussions around Keep Asia Green – the lessons learned and success stories – will allow those from any part of the world confronted with the degradation of forests, to assess what approaches could be adopted and applied successfully to address the challenges they face at home”, says IUFRO President Professor Don K. Lee. This is really interesting and IUFRO looks like a great organization! 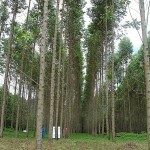 I do not know much about forestry yet, but I am intereted in learning more, keep up the good work! We also encourage you to visit GFIS.net it’s the google of forest-related topics!